ilash minx C Curl various lengths and available in your choice of 0.05, 0.07,0.10, 0.15 0.20 0.25 thickness. Out of stock items soon to be available. 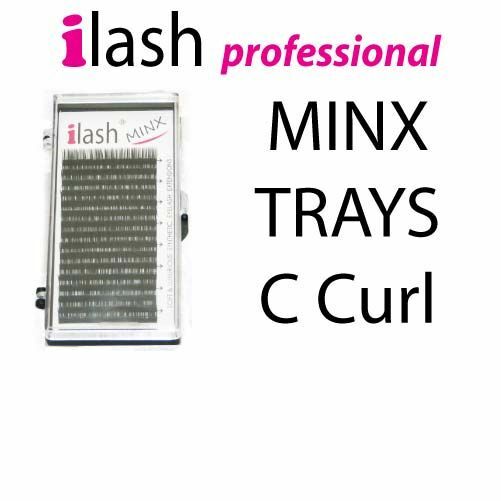 ilash Minx C Curl lashes in various lengths and available in choice of 0.15 0.20 0.25 thicknesses. Super soft and luxurious! Each tray contains 16 rows of one size.